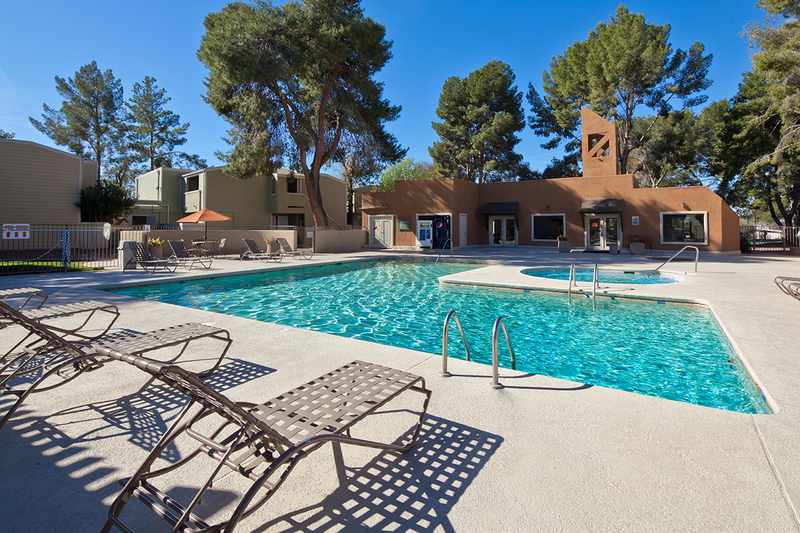 Phoenix, AZ – May 2, 2017 – ABI Multifamily, the Western US's leading multifamily brokerage and advisory services firm, is pleased to announce the $13,000,000 / $47,794 Per Unit sale of the Brookwood Apartment Homes located in Tucson, Arizona. Brookwood is a two story, garden-style apartment community which rests on approximately 10 maturely landscaped acres. The property was built of frame and stucco, with flat and pitched roofs. The property boasts an attractive unit mix of 176 - 1 bedroom and 96 - 2 bedroom unit types, with a weighted average size of 760 square feet. "Brookwood offered the Buyer a number of strategic advantages," states Alon Shnitzer, Senior Managing Partner, who along with Eddie Chang, Partner, were the lead brokers for this transaction. "First, the Buyer was seeking to expand their Arizona multifamily footprint and this acquisition marks the buyers 2nd purchase in the Arizona market, since entering it in October 2016 with the purchase of a 276 unit in Glendale (Phoenix MSA), Arizona - which ABI Multifamily was very proud to be a part of as well. Second, the area surrounding Brookwood has witnessed a tremendous increase in population, rising 20%+ over the last decade. Third, the property itself had attributes that could be improved on, which would add value and the ability to enhance the community with further amenities for its residents. Given these reasons, the Buyer jumped at the opportunity to own this apartment community in this dynamic submarket of Tucson." The Buyer, Monument Opportunity Fund 3, is a private investment partnership group spearheaded and led by Monument Capital Group, a value-add company that directs a full suite of services in the strongest multifamily markets nationwide, based out of Miami, Florida. Through its management arm, Monument Real Estate Services (MRES), the company is responsible for the property, asset and construction management of over 14,000 units nationwide. These services are done for Monument's three funds, joint ventures, off balance sheet transactions, and those controlled by third parties in the Southwest, Southeast, Midwest and Mid- Atlantic regions of the U.S. The Seller, Summit Equity Investments, Inc., is a second generation family office investor and investment manager that acquires and manages multifamily in strong, secondary markets throughout the U.S. It pursues a value-driven investment strategy that has been honed by the principals' family over the course of 50 years and 20,000+ apartment units.